The Boulevarde is a two storey, fully self-contained apartment located a short walk to Lake Illawarra Foreshore which can sleep up to 6-8 people. This property is fully equipped with front balcony and small fenced grassed BBQ area at rear. Short walk to the lake, children's playground, boat ramp, cycleway & walking paths, jetty's, Oak Flats Village shops and bowling club. The Boulevarde has a king bed in the main room and a queen bed in the second room. There are additional air beds available for an extra fee of $25pp. 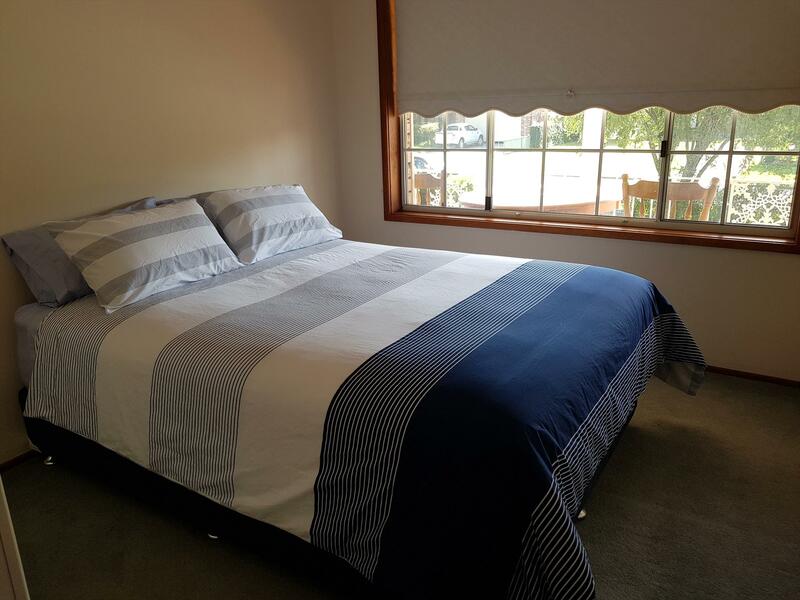 The property has a well equipped kitchen, living/lounge area, bathroom, air-conditioning, balcony, BBQ and BBQ area, laundry with a washing machine and additional toilet & shower. 2 bedroom self contained unit. Room 1 with king bed, room 2 with queen and additional 2 x double air bed bedding available for additional persons. Lounge, fully equipped kitchen with microwave, stove, fridge (no freezer), air conditioning, linen provided, bathroom with spa bath, BBQ, BBQ area, balcony, laundry with washing machine includes additional toilet and shower down stairs. TV in lounge, main bedroom & down stairs area. Number of Guests should not exceed the number stated on the confirmation notice or subsequently agreed in writing or e-mail. Parties and Functions and disturbance to our neighbours including excessive noise is strictly prohibited and may result in termination of rental. Check-out time is 10.00am by the latest to allow time to prepare property for next guests. Guests of tenants must depart the property by 10.00pm. Loss - the owners take no responsibility for the tenants personal property. Variations to these conditions may only be made by prior arrangements with the owner in writing. No direct access to private driveway pool jetty or garage. Home owners live in house on the lake down the long driveway.